GREENFIELD, WI – The Wisconsin Nursery and Landscape Association (WNLA) announces its 2016 Plants of the Year. They were selected as the Plants of the Year at the Wisconsin Nursery Association’s annual membership meeting and workshop. Picea omorika (Serbian Spruce) has been chosen as the Woody Ornamental Plant of the Year. Tough urban conditions and drought-prone sites will not hinder the elegant and adaptable Serbian Spruce. It establishes quickly, so transplanting is not a problem, and its slender outline works perfectly for the narrow spaces that other trees grow out of. The Picea omorika prefers full sun to partial shade and will tolerate a wide pH range. It does well in zones 4 through 7, reaching heights of 40 to 60 feet. The Serbian Spruce brings a vertical grace to any landscape. 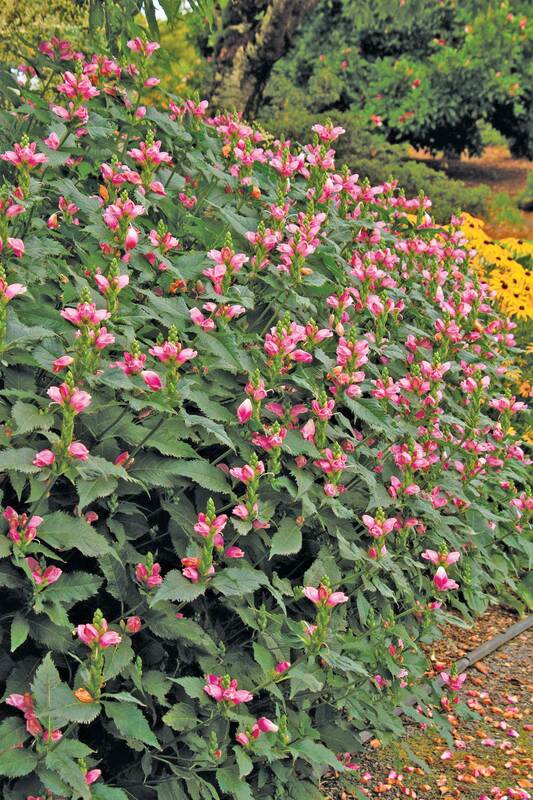 The Perennial Plant of the Year is Chelone lyonii ‘Hot Lips’ (‘Hot Lips’ Turtlehead). The partially shaded section of the garden comes alive with this beauty. Its upright stems form a 23” to 35” bushy mound that sports bronze-green foliage in the spring. Come late summer to mid fall, ‘Hot Lips’ Turtlehead displays the rosy pink hooded flowers that give the plant its name. It prefers moist or wet soil, but is wonderfully adaptable and perfect for a variety of uses in the landscapes of zones 3 through 8. Deer are not interested in this North American native, however everyone else is, including butterflies and hummingbirds. The Wisconsin Nursery and Landscape Association’s Plant of the Year Program was initiated in 2002 to promote quality – and underused – plants to the public. Two categories were created to consider all plants: the Woody Ornamental category, which includes deciduous trees, evergreens, vines, deciduous shrubs and shade trees, and the Perennial category, which includes herbaceous perennials, subshrubs, grasses, and ferns. Each year, members of the WNLA Plant of the Year committee convene to discuss and analyze a collection of plants, narrowing down a field of top notch contenders to just four in each of the two categories. The outstanding characteristics of those eight plants are then presented to all who attend the Wisconsin Nursery and Landscape Association’s Winter Workshop every February. Attendees consider the candidates and vote for their favorites. The winners are voted on and selected two years before they are presented to the public, to ensure that growers have enough time to build up their stock. The Wisconsin Nursery and Landscape Association (WNLA) has a history of more than half a century of serving the Green industry and its 190 plus members, which include growers, landscapers, and industry suppliers.